I actually completed this a while ago, but it's taken me ages to get around to writing about it - and getting the screenshots off my capture box. Plus, you know, there were some after-game parts I wanted to get around to, including an achievement for catching the taxman which occurs once in a blue moon. I may write about those separately. The main game first, then. The storyline, pulling together the missing parts of Altäir's life with the later years of Ezio, was probably the most coherent yet, although the modern-day parts, with Desmond in some sort of coma, were less successful. The story missions seemed more varied and tighter than in previous games, but the amount of extraneous guff seemed too high - the tower defence games and constant need to send assassins to the Mediterranean were not optional enough and felt entirely superfluous. The city of Constantinople wasn't as interesting as Rome, partially due to a lack of countryside and ancient ruins. There was possibly more variety in buildings, but I found myself constantly having the refer to the map to work out where I was, whereas navigating Brotherhood's city was second nature by the time I finished the game. The poor draw distance from viewpoints didn't help. Having said that, the game on the ground is stunning to look at, and I enjoyed the parkour more than before, largely due to the hookblade which allows you to make large jumps with little fear of damage. I noticed I played the game slightly differently as well - making more use of the hiding places and running from enemies, rather than simply engaging in the fight until they were all dead. The one weak point in the story was the involvement of Sofia Sartor, who came across as naïve and hopeless at several points throughout the game. Her kidnapping was a cliche too far. It wasn't made clear why she was so interested in Ezio's books, and the limited involvement the two of them had didn't establish any sort of relationship. Ezio continued to ignore her and hide away throughout, which makes the idea that there would have been any sort of romance extremely unlikely. But she helped him find random books, so that's alright. The end credits went on for hours, over a dull background of the destroyed animus hub. Which was then rebuilt, so you could continue to play and find stuff. I've not played much of this recently, since gaming time has been limited and the PS4 controller is always there screaming "Rocket League!". However, I did manage to progress with the story, largely because I last left the game on a boat to Cappadocia - a town built inside a cave. There wasn't much to distract me there, with a few data fragments spread around and little else. The missions were generally easy, with the difficulty coming not from the missions but from the soldiers on rooftops, which were the most effective way of getting around. I rescued the spy, caused explosions, and killed the big fat man. Back to Constantinople! My main complaint about Brotherhood was that there was too much to do. Revelations gives you even more, and also takes the stuff you did in Brotherhood and complicates it. This map only shows some of the stuff you get to distract you; shortly after this I bought a map showing the location of memoirs, and I've also now unlocked locations for data fragments which are strewn across the city. There has been so much stuff to do it's a wonder I've made any progress with the story. In Brotherhood, you had to defeat Borgia towers before buying the shops in the area. In Revelations, it's the same except with Templar dens. And when you capture a den, you have to install one of your assassins as a den leader, and if you get too well known the templars may attack your den and you have to go back to it and play a tower defense type game to stop them retaking it. In Brotherhood, you had to send some of your recruits off to far-off lands to partake in a finite number of missions which would reward you with money and materials. You could recruit ten assassins, and allocate them effectively to make sure that success was guaranteed. However, each mission took a certain amount of time, so it wasn't a quick win. All of this exists in Revelations, except the templars try to take back the cities you have power in, and your influence is constantly decreasing, so you have to constantly carry out new missions. You can also post your recruits to these cities permanently, which means that it's a little easier to make sure you have resources to defend the cities but it's a big pain to swap between local and overseas assassins when assigning tasks. There are now two types of chest: those which are not refilled, which contain money and ingredients, and those which are refilled, which contain ingredients. Since I'm not using many bombs, my ingredients are almost permanently full, making the second type pretty useless. It's not easy to tell from a distance which type of chest you're approaching, though. Due to the fact that you have dens to protect by appointing a den leader, and you can post assassins overseas, you can continue to recruit new assassins and then train them up. This turns into a balancing act - who do you send away, at what level, and who do you retain? The first few recruitments were all quite interesting, but now it's just a case of stopping the soldiers beating up a citizen each time. The modern-day story is odd; Desmond is stuck on an island in his head with the bloke who was leaving all the messages in the last game. As well as entering the past, there are some other doors which are slowly being unlocked (I would guess by collecting data fragments). Going into these starts segments where Desmond talks about his past and you solve puzzles in first-person by placing blocks in the air. 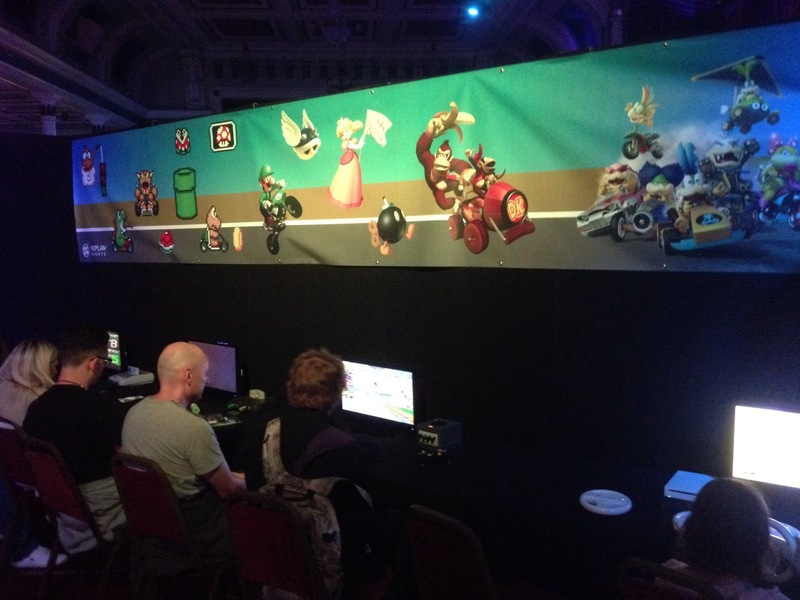 It's all a bit odd, and the general dark nature of the game makes it more difficult than it should be. Oh, yes, the game is very dark and that's a huge pain if you play it during the day or in the evening with a light on behind you. I've had to turn the brightness up on my TV to be able to see properly. There seems to be a whole other plotline going on, with a different icon on the map. I'm not sure why this is or whether it's important (but I'm tending to do those missions before the main ones anyway). The general format is that Sofia asks you to do something for her, you do, she tells you where a book is hidden, you go and get the book and find the location of a hidden location; going to that place lets you find a key for a memory. The missions you do for Sofia are, at times, quite daft. When Ezio finds a memory, it's back into the past further. This is one story I have been able to keep up with - it concerns Altaïr's exile from Masyuf after the first game, and in each (short) sequence you play as Altaïr as an increasingly old man. It's fortunate that despite this abundance of distraction, the core gameplay is still great fun. I have made a little progress with the story - up to the end of sequence six, in fact, which sees me (temporarily, I hope, given that there are still data fragments to collect) off to Cappadocia on a boat, sailing through flaming wreckage and debris caused by the templars' attempts to stop me leaving. The action sequences, while a little on rails, are good at getting the blood flowing, although it can be a little disappointing and immersion breaking when you fail for no real reason. The story has been complicated. Ezio is trying to find out about his past and where the Apple of Eden has come from; he finds books buried all around the city although these are a side mission and not crucial to the story. There's a Turk assassin who is setting up the order in Constantinople. Other stuff is happening. To be honest, because of the big gaps in my partaking of the story line, I've got a bit lost. I might need to read the Wikipedia plot summary when I finish the game. The story certainly isn't leaving me hanging there, anyway. It doesn't seem like a year since I played through Assassin's Creed Brotherhood, but it is and so it's high time I continue the series - in an attempt to make sure that I'm only four years behind the curve and no more. I mean, when I finish Revelations I'll only have III, III Liberation, IV, Rogue, Unity, Chronicles and Syndicate to go. So, Revelations. I know that I will get to play as both Ezio and Altäir, since they are both on the cover. I know that I will struggle to adapt to a slightly changed control scheme, since they've moved the ranged weapons button. I know that I will get completely lost in a new city for ages, and will take some time to work out the best way to run away from the guards. I know that I'll quickly get distracted by opening shops and chasing down thieves and looting the bodies of dead soldiers. I know all this will happen. Why in the future? Because as of now, a few hours into the game, I'm still playing through the tutorial. It goes on forever. I have had to complete some basic missions to learn about the new eagle sense, to learn about the ranged weapons options, to learn about bombs. I finally have a bit of freedom now, but it's taken so long. I mean, it took over half an hour to get to the title screen! It feels like a refined version of Brotherhood so far. I appreciate the better control over throwing knives, I find the reformed eagle sense a bit annoying, and I find the odd Animus Island a bit odd. It's almost as if they're running out of ideas for the modern-world story. The additional challenges were pretty easy, once I chose the right ones, and so Shadow the Hedgehog appeared to me. Having never played Sonic 2006, this is the first time I've been exposed to his lack of character. Luckily I quickly defeated him - it would have been nice to understand why I had to, admittedly - and I had my final chaos emerald. I needn't have worried. Somehow, although the emeralds are clearly visible embedded in the cogs, Sonic(s) still had them when facing down the final boss. And what an awful final boss it was. As Super Sonic, you have to boost forwards towards the big Time Eater enemy, and lock on to his core. But quickly, since your rings supply is constantly counting down and trying to get hold of more rings is pretty difficult. It's easiest to switch to a 2D display until you get close to the boss, then switch to 3D and boost into the core. But it's not easy at all, and took me multiple attempts. But finish it I did, completing the game. There's a lot left to do - many challenges in terms of time attacks, races, ring collections and similar. I have about 50% of the red star rings. But I'm not sure I will play much more for now - I'd prefer to play Sonic Colours or a completely different game rather than going over the same stages again. Maybe in the future. 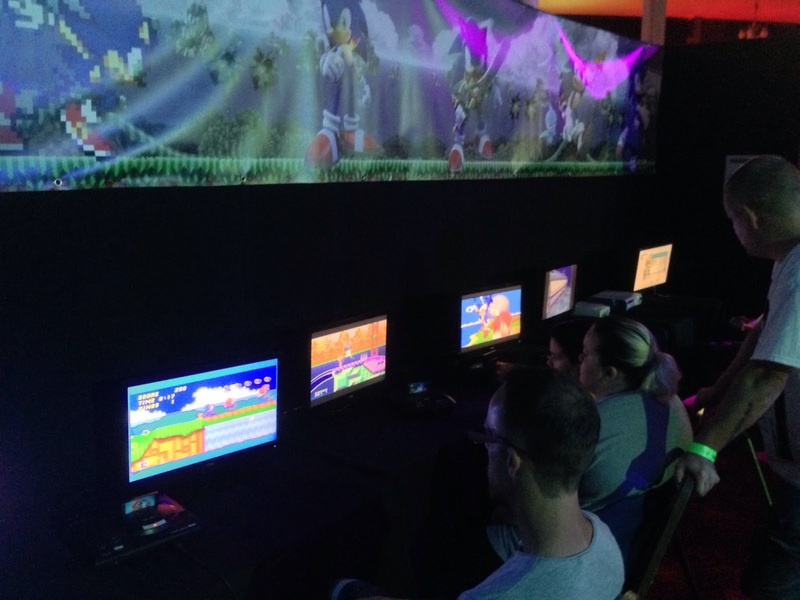 In any case, this is the best Sonic game for a long time, even if the last boss is pretty rubbish. Oddly enough, although I wrote at length about my experiences with the 3DS game, I don't appear to have written about the Xbox 360 version which I played at pretty much the same time. I didn't complete it though; of the nine main stages of the game I had completed both acts of six and played through the 2D parts of the remaining three. I've no idea why I stopped. With the launch of TrueSteamAchievements, I was able to register and see which games I own but have hardly played on Steam. Most of them, it turns out. One of the more interesting pages is 'My Easy Achievements' which lists those achievements I've not yet won which most people who own the games in question have. This list was topped by the achievement for completing the first Act in Sonic Generations. I have absolutely no idea when I bought the game on Steam, though I won't have paid much for it. Anyway, suitably shamed, I loaded the game on my work PC - no Mac version, it seems - and played through both Acts of the Green Hill Zone. 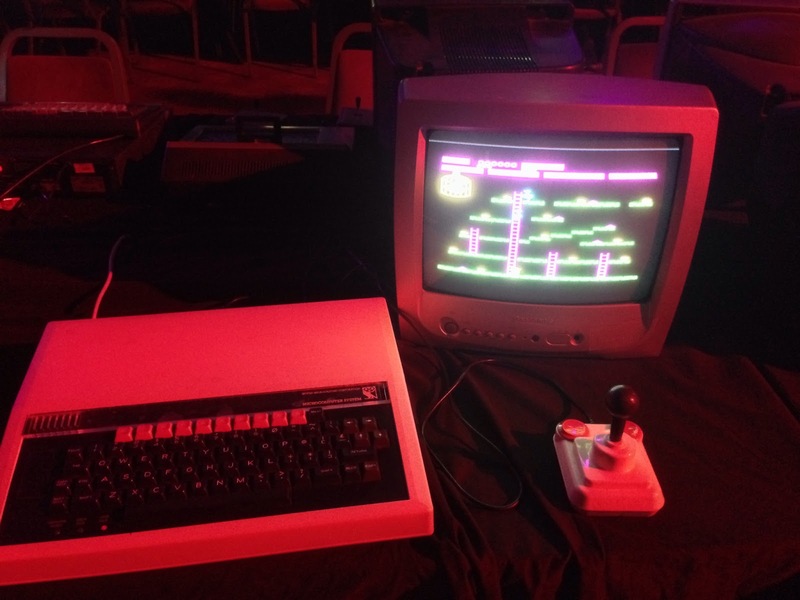 That took some effort; the game juddered and slowed in the resolution it recommended, and then looked ugly and in the wrong aspect ratio when I tried to change that. Why was I struggling through it when I had a perfectly accessible console version? No, I didn't know either. 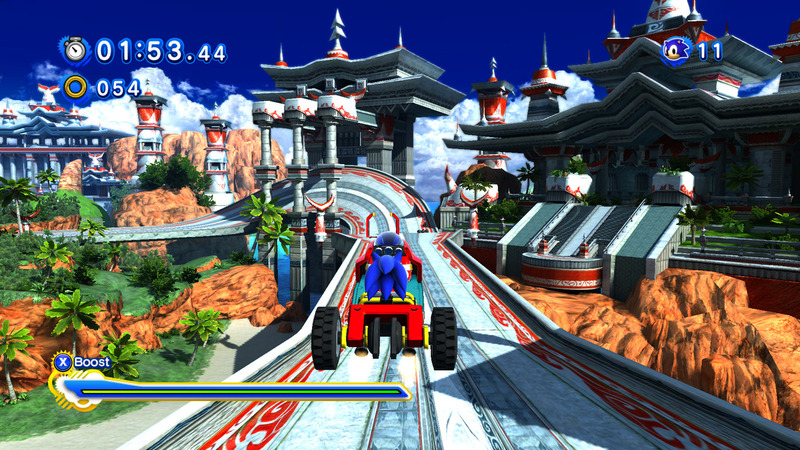 And that, in a roundabout way, is why I loaded up Sonic Generations on my Xbox 360. I'm glad I did. This is a good Sonic game - particularly the 2D sections, although most of the 3D Acts are fun as well. The only real problem is that the controls feel a little imprecise at times, which I think is down to using the analogue stick (with its length of travel) over digital pads. 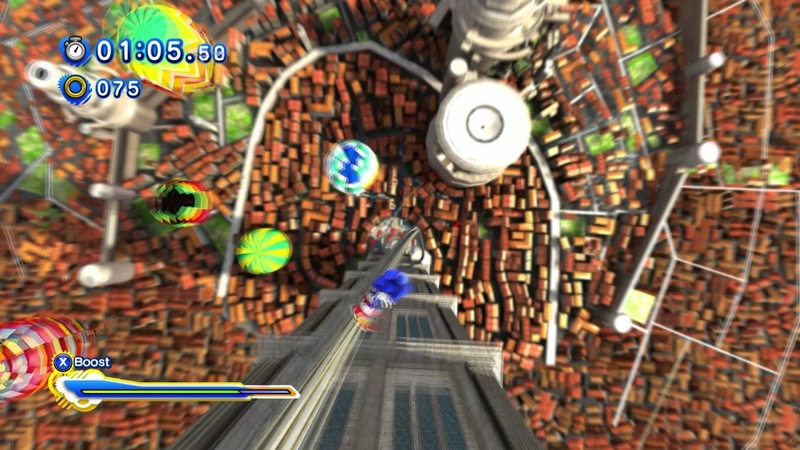 Turning in the air to avoid spikes can take a fraction of a second too long, and occasionally I can't steer Sonic away from the walls that jut out into the 3D levels. I played through the second Acts of Crisis City, Rooftop Run, and Planet Wisp, with a number of lives lost due to me trying to hurry through the levels. 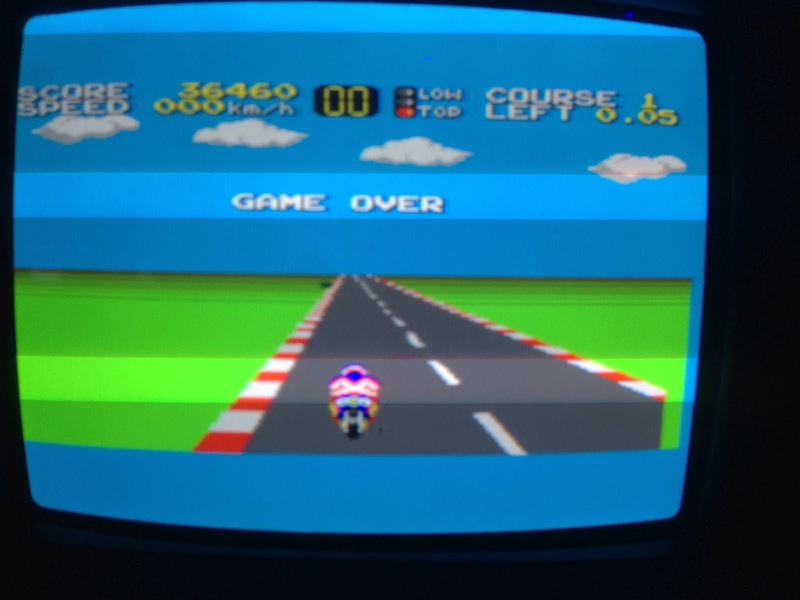 It's easy to forget that even in the original Mega Drive games you had to take the later stages somewhat slower. There's a boss battle next, but first I've got to unlock it by completing three challenges - special requirements within existing levels. What a faff. I am, apparently, a little way through the game, and I restarted halfway through chapter 3. 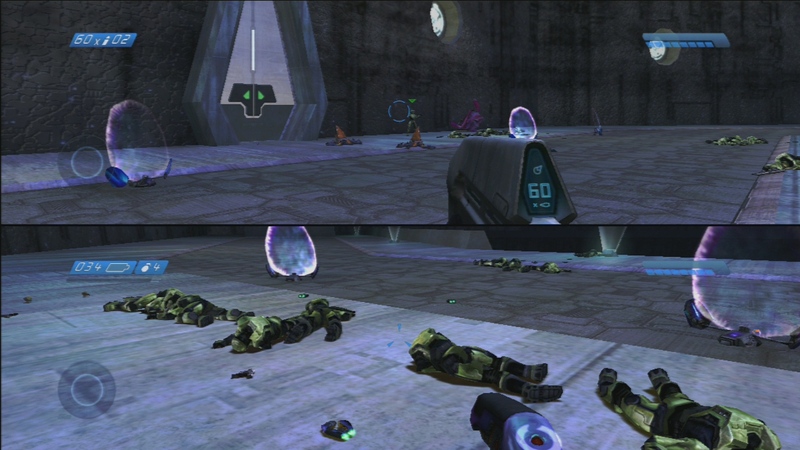 The difference in gameplay from the first Halo is marked, with increased reliance on team members and communication, and a move to large scale set pieces rather than small-scale battles in corridors from one waypoint to the next. The world feels a lot more empty and open, and you have a sense of partaking in a massive war rather than an individual battle - as you drive around, you see fighting way off in the distance. It's not just the scale of the world that feels different, but the detail. Battlegrounds are strewn with objects, pathways, and debris. Guns are located all over, and you sort of understand why - the previous battles have been hard. 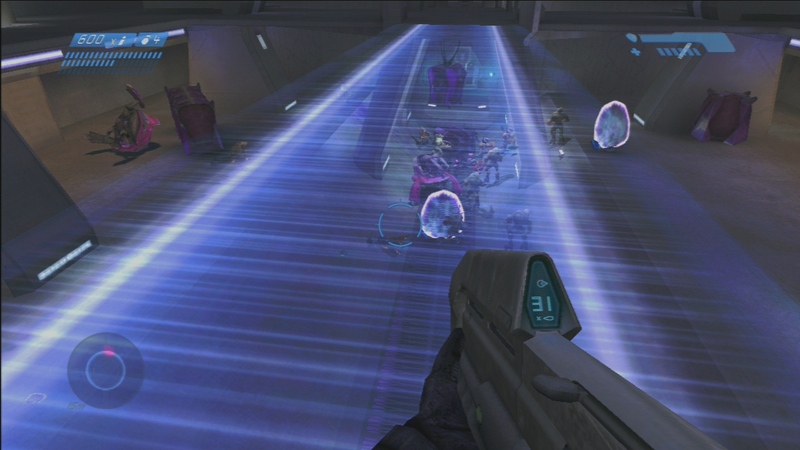 It's still a Halo game, though, with the need for intelligent tactics to overcome the multitude of enemies. Invisible Elites and Hunters make the combat fraught and it's best to stay at a distance as much as possible. This isn't always easy, though, as your team mates have a tendency to barge in and get themselves killed if you're not supporting. 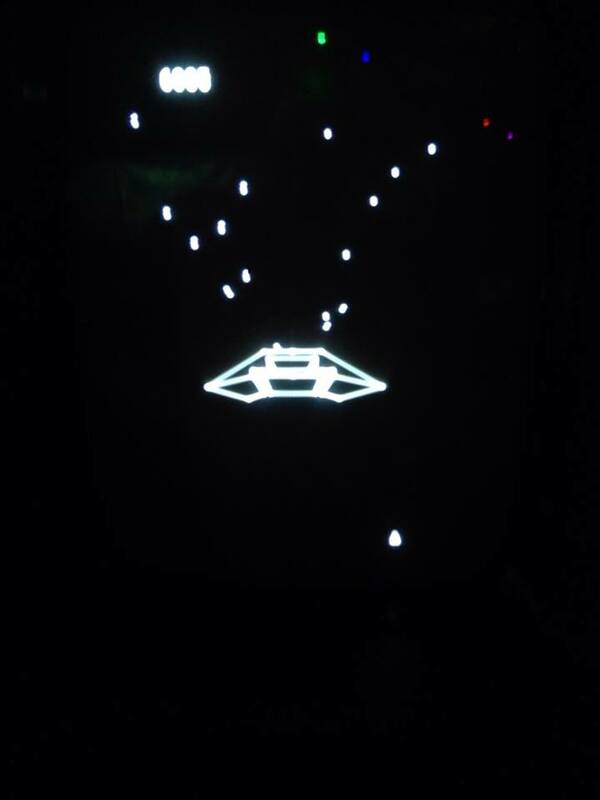 And then suddenly it wasn't a Halo game any more, it was a generic space shooter using Banshee controls. Having to take to the skies to protect the space station seems a little odd, as surely the military should have a separate air force. We're meant to be experts in ground combat. Surely we haven't had that many casualties? The flying bits were a disappointment. 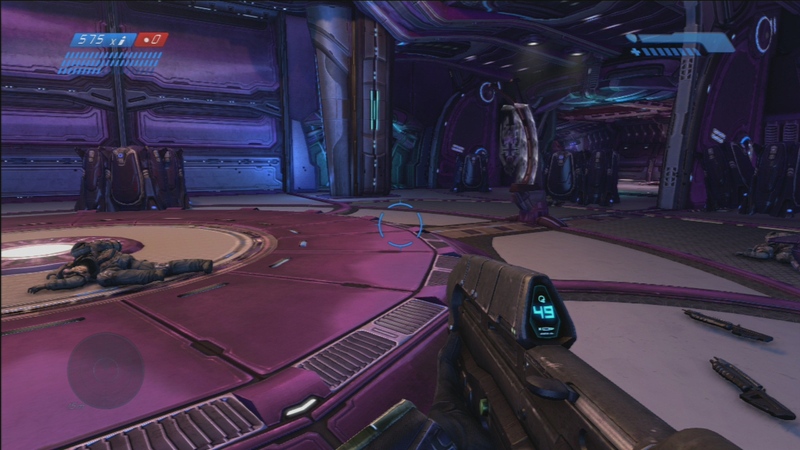 Aim at the pre-set point and fire; there was no need to judge speed and distance unlike the Banshee battles in other games. It didn't outstay its welcome though, especially as it transitioned into a segment set on an orbiting ship where I was able to sneak around and hit Elites with swords. Blew up the ship, ran back to my craft, and I was soon on solid ground. Lots of things have exploded. Amusingly, as I travelled to work this morning I was reminded that I completed Halo 2 eight years ago today. And today I have completed the updated original game. 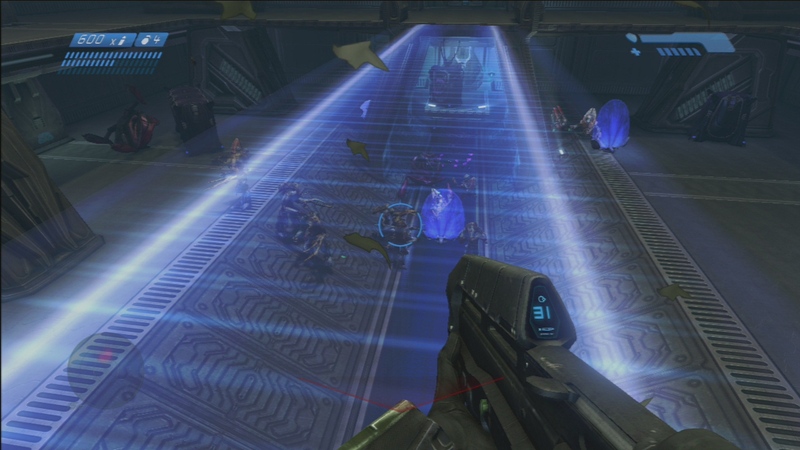 I have a soft spot for the original Halo. When I first played through it, the story wasn't massively inspiring, but the gameplay was and as I progressed through the game I got interested with the overall objectives. Until, that is, I got to the Library, and the flood, which seemed to go on forever and really was pretty dull. But after escaping from the library and backtracking through previous levels, watching the covenant fight the flood, I felt a sense of urgency and importance which was compounded by the final escape run. I said I might play it again some time. And, you know what, I did. I played through the whole game again a year or so later, and of course played multiplayer a few times when people visited. Each of the levels, while part of the narrative, stands up well as a separate game. 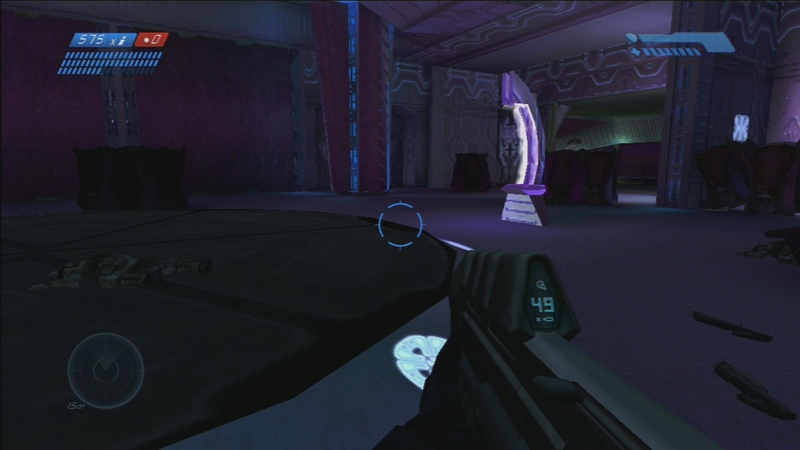 And then when Halo Anniversary was released, it seemed an ideal time to go back to it. 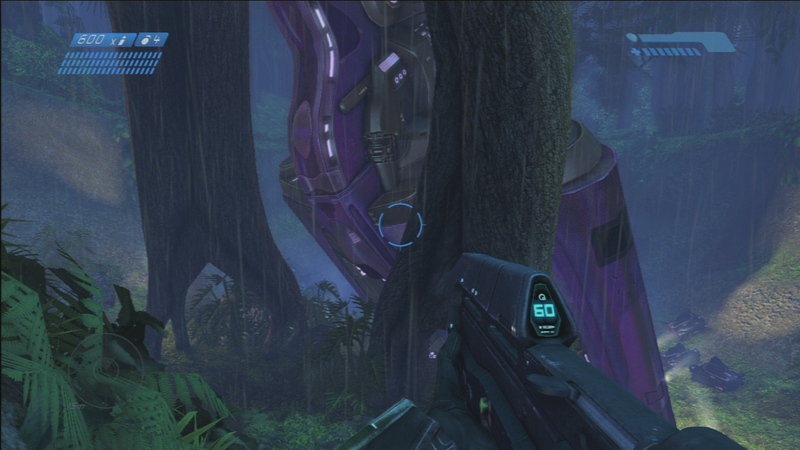 Unfortunately it came at a time when I'd just finished ODST and started Reach, and it appears that I stopped playing after the Pillar of Autumn. With a renewed freshness for the game, I decided to play it again. 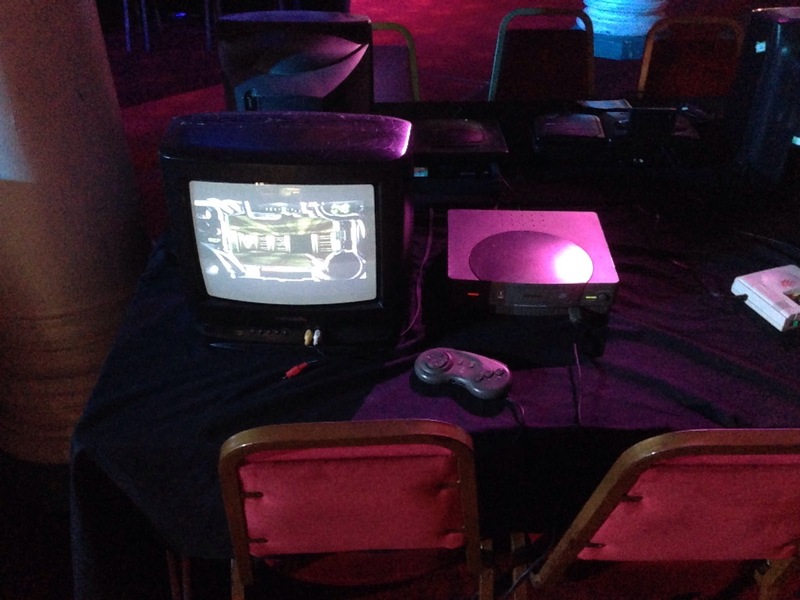 But the second picture is what the original game actually looks like. Plain, muddy, dark. 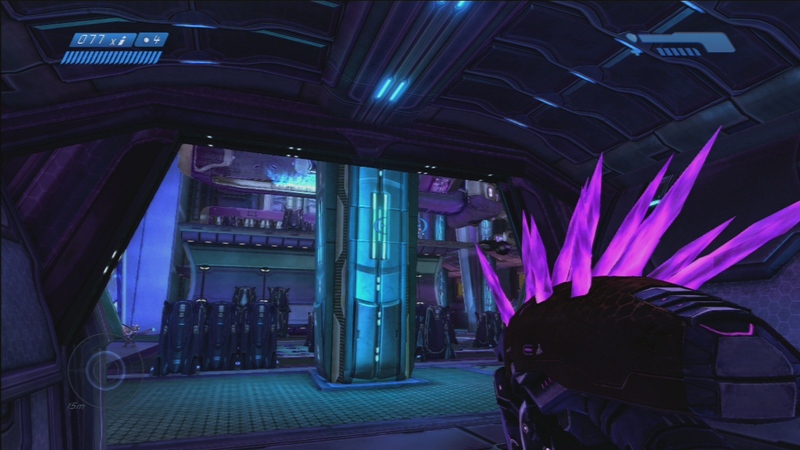 The needler has always been pink, hasn't it? 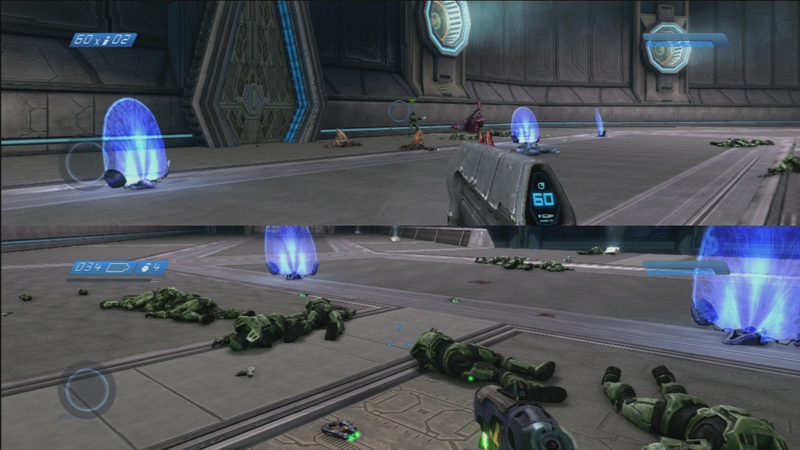 Lot of dead spartans in a co-op mode, looking either rugged or metallic depending on when you play the game. Lush scenery, or foggy closeness. At least the light bridge is the same. One of the very cool things about remasters such as this is the ability to switch between original and new graphics at will. This isn't quite as slick as the Monkey Island remake, with a fade to black between the styles, but it still works well. So, anyway, I played through the game to the end. Blah blah, Library dull, Keyes face, nuclear reactors exploding, drive warthog, escape. Still a fantastic game. There are some additions to the game as well. 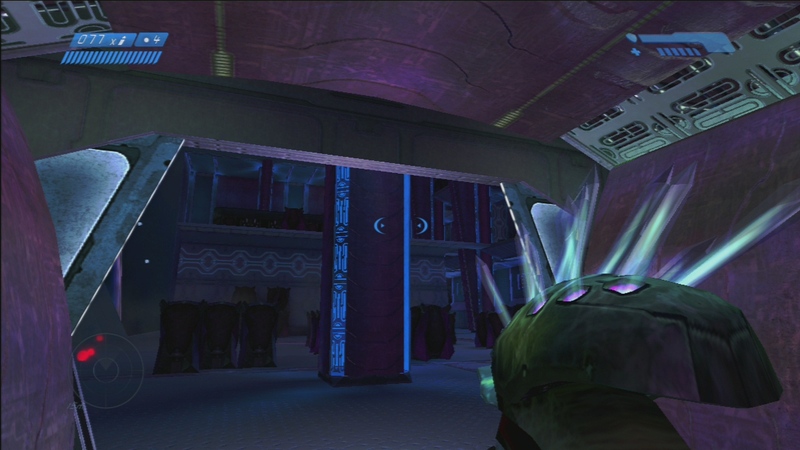 Borrowed from Halo 3, there are a number of skulls located in hidden areas. I actually looked up where they were, since there is no way I would ever explore enough to find them, and then went through the game collecting them - sometimes in a co-op game with both controllers in order to get to obscure areas. It was well worth it, because some of the skulls make the game more fun to play again. Particularly infinite ammo. That even makes the Library fun, throwing limitless grenades, especially with the double explosion size also turned on. I think I may have had my fill now, though. 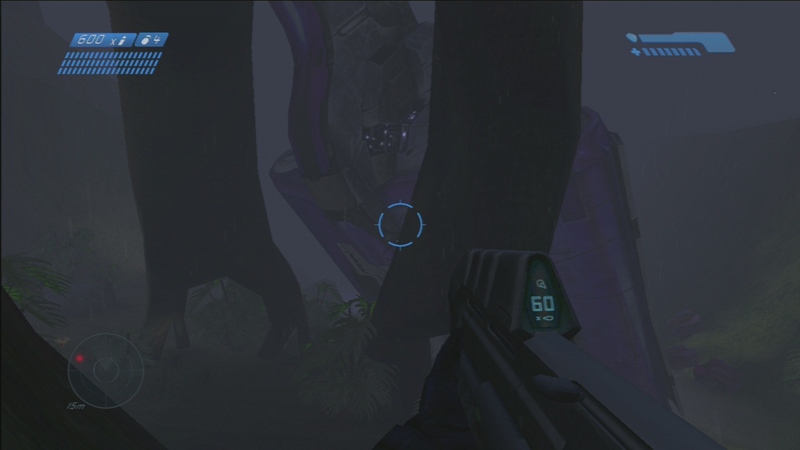 Time to leave the comforting familiar environments behind, and go back to see where I reached in, er, Halo Reach.